(ROCHESTER, NY, February 2019 - Matthew Mitchell was recently named President of Corporate Communications, Inc., a digital marketing agency in Rochester, NY. This comes after former President and founder of the company, Terry Palis announced his retirement from the agency. Mitchell began his tenure at Corporate Communications, Inc. as a co-op student from RIT in 1996. Prior to his promotion to President, Mitchell served as Director of Operations and Vice President for the company. “I'm very excited to assume this new role and continue building on the success our agency has established over the past 24 years." said Mitchell. “We've worked hard to adapt and grow in response to our clients' needs and the evolution of the marketing industry." 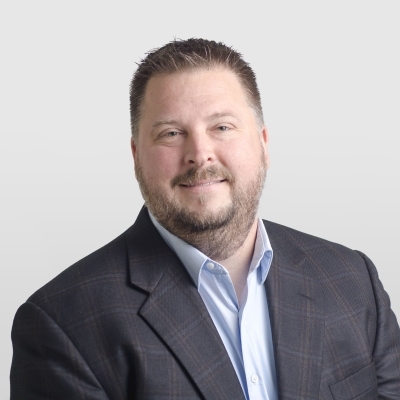 Mitchell's key responsibilities include overseeing day-to-day operations, building the company's client-base, and growing the organization through an expanded offering of digital marketing services, strategic planning and creative services. Mitchell will look to keep the agency on the progressive, innovative growth path that he and Palis established, embracing digital change and on-going technological advances. Corporate Communications, Inc. was started by Palis in 1992 later incorporated in 1995 with the intention of becoming a leader in new media marketing and communications technologies. The organization began by managing communications efforts for large accounts in Rochester such as Bausch & Lomb, Xerox Corporation and Eastman Kodak Company. In an evolving industry that became increasingly digitally-focused, Mitchell lead the agency shift from traditional analog marketing and communications, to a digitally-focused agency including a core focus on website design and development. As a result of that effort, today Corporate Communications, Inc. is a growing well-established & award-winning full service digital marketing agency. In recent years the agency has further expanded to offer internet marketing services including search engine optimization, digital advertising placement & management, strategic in-bound marketing services and social media management. The expansion was driven by Mitchell's identification of business growth opportunities that complemented current offerings and growing client requests. While many of Corporate Communications Inc.'s clients are located in Western NY, the overall client-base has also experienced growth now reaching far beyond New York State.